Antivirus software is essential for every PC. It keeps us safe from viruses, malware, ransomware, and phishing threats. However, these are just the tip of the iceberg when it comes to what a good antivirus software can do. In fact, cybercrime has grown significantly year after year, so much so that manufacturers have to think ahead of the game and to take a holistic approach to keep your data safe, and tackle more than just the malicious file that might end up on your PC. In this arms race of antivirus, you can keep your system safe with our list of curated antivirus software that you can get your hands on in 2019. 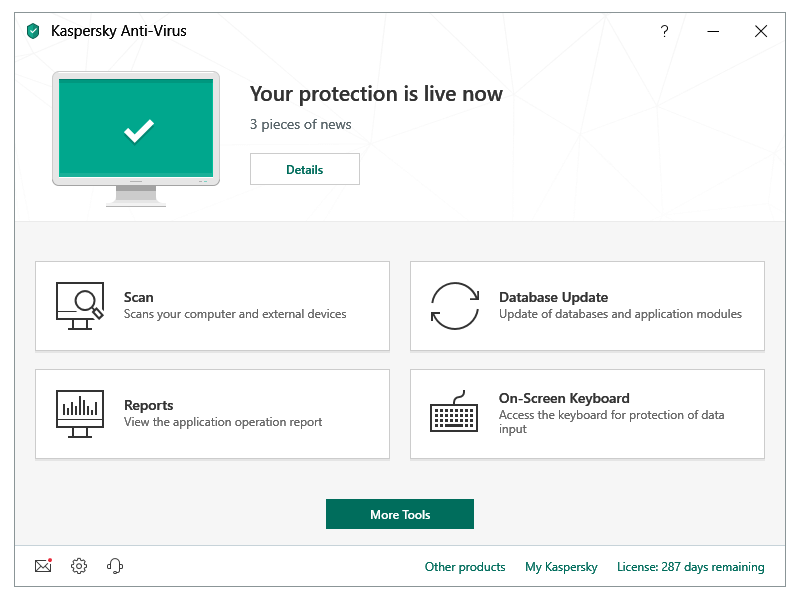 Kaspersky Antivirus automatically scans your PC to find threats – including new drive-by crypto mining infections that could damage your PC’s performance. It has one of the fastest scanning engines around, with an ability to customize its security protection. The antivirus is a bare-bones basic, lacking additional features such as a password manager, secured browser or firewall that other competitor brands provide. However, it excels at the essential security tasks like web and URL filtering, functioning as a reliable antivirus engine with Kaspersky’s intelligent behavior monitoring of malicious codes. Kaspersky is able to partner efficiency with accessibility by providing a right balance on its interface and being rich enough in options without the unnecessary. ESET NOD32 Antivirus protects your PC against hackers, ransomware, and phishing. Its real-time malware and ransomware protection provide you with a peace of mind while you surf the internet. They are also paired with modules to prevent script-based attacks and URL filtering features. Armed with some of the best heuristic detection around, ESET NOD32 Antivirus can spot malware which they have not seen before. ESET NOD32 Antivirus provides a dedicated device control add-on which prevents the spreading of infection via USB, external hard drives, optical storage media, and even devices connected on Bluetooth and FireWire. Having said this, ESET NOD32 Antivirus isn’t designed for beginners. The interface is complicated, and some features are very advanced, but experienced users will like its power and good customizability. Trend Micro Antivirus+ Security provides simple protection against sophisticated threats. It is built with an ambition to offer “plus” level of security features at the price which can easily beat its competitors. The main selling points of this antivirus software are that it is topped by an anti-spam layer which offers excellent performance with a quality anti-ransomware module. With its less-flexible algorithm, the antivirus engine can produce an above-average rate of detected false positives. Trend Micro Antivirus+ Security doesn’t slow down our system noticeably; however full scan is slightly slower compared to the rest. Bitdefender Antivirus Plus is well-known for detecting viruses, malware, and zeroing in on any potential threat to your PC. It achieved outstanding scores in independent lab tests and web protection tests. The software is equipped with robust web filters that prevent access to suspicious websites, and its secure browser provides web shopper a secured platform to complete their transactions without malicious interference. For 2019, Bitdefender levels up its game by adding ransomware protection into its antivirus package. Its powerful antivirus engine is also paired with an anti-phishing module and a robust password manager, to provide you with more well-rounded protection. Webroot SecureAnywhere AntiVirus is an entirely different school of thought when it comes to resource usage. It is lightweight be it the seconds-long installation, mere few megabytes of space it demands or its negligible impact on your RAM performance. Scan times are almost as impressive with an average of 20 seconds, which is up to 60x faster than competing products. The main reason is the fact that Webroot SecureAnywhere AntiVirus is fully cloud-based which means that it requires you to stay online for the best results. At first glance, SecureAnywhere AntiVirus looks a little complicated. That’s not necessarily a problem for experienced users as they might prefer all available options to be visible up front. In most cases, the software is very straightforward to use. The software also comes with a real-time anti-phishing engine, intelligent behavior monitoring, and anti-ransomware modules. All these features come with highly reliable lab test results in terms of detection and removal of unwanted malware. F-Secure Antivirus SAFE is a great bundle antivirus software, and it’s a bit more expensive than the lot. With F-Secure Antivirus SAFE, you get an excellent antivirus software from F-Secure, alongside banking protection for safe online shopping, family safety monitoring and a device finder that helps you find your lost device, and if it needs to be remotely locked or deleted. F-Secure Anti-Virus’s fast full scan and DeepGuard behavior-based detection system make it a solid and reliable malware fighter. However, based on lab tests by PCMag, it failed some of the ransomware protection tests. The interface is a significant plus for beginners, and it’s straightforward to use and light-weight. The program has minimal impact on your PC’s performance, and if you do need to intervene, then you can generally solve any issues in a couple of clicks. But it may not be the favorite of experienced users due to its limited configurations. Avast and AVG have not been merged yet, despite the former has acquired the latter in mid-2016. The newly combined company confirms that the two free antivirus products will remain independent. The Avast Free Antivirus has been a quality free antivirus service and a contender which aims to cover all bases when it comes to containing any malware threat. Its setup will give you control over the features that you want to install, down to the smallest add-ons. At the time of installations, Avast is filled with bloatware, but it doesn’t force you to pick any option and leaves the decision to you. All the components of a modern-day antivirus system can be found on Avast Free Antivirus. Real-time detection engine acts to identify and neutralize malware before it manages to penetrate your network. It works together with web filtering engine which will rigorously prevent you from accessing malicious codes hidden behind dangerous links, while suspicious files can be easily submitted for cloud scanning. The latest version of Avast Free Antivirus bundles with an automatic gaming mode to mute popups and reduce system load when you’re playing a resource-hungry game. The Game Mode automatically detects a game and adds it to a list of game entries. The interface has also been given a clean new overhaul. Included in the package is also a password manager, which is an undeniably good addition to your security portfolio. 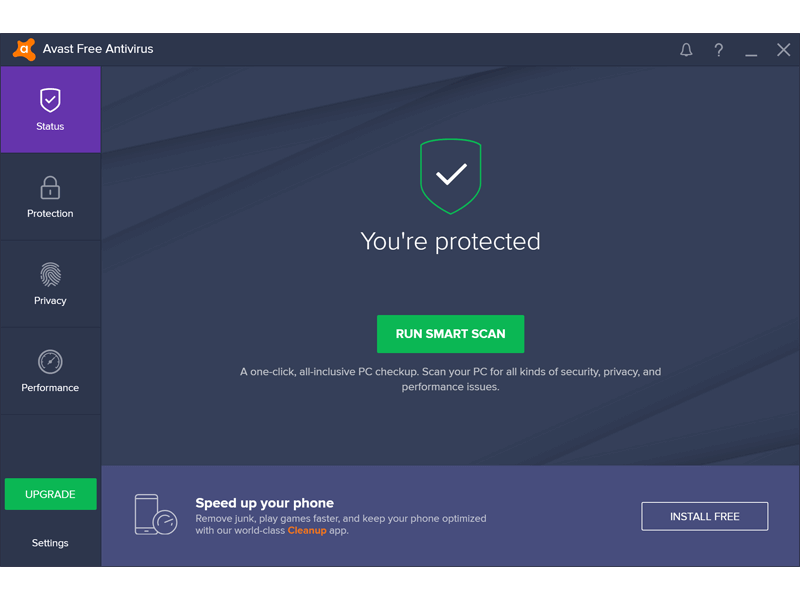 AVG AntiVirus Free is a free, yet amazing antivirus software for 2019. It is a popular antivirus tool from the now Avast-owned AVG Technologies. The antivirus package includes all the features you need – an antivirus engine, real-time download with email scanning, web filter to block suspicious links – and it doesn’t have any ads, restrictions or significant limitations that force you to upgrade. However, AVG AntiVirus Free has slightly fewer features compared to Avast despite having the same engine. The commercial version will have additional features for online payments, privacy, and anti-hacker protection. As a bonus feature, AVG AntiVirus includes a file shredder and a built-in browser add-on scanner. AVG has a robust scanning engine that is more accurate and reliable than most of its competitors and leaves some of the more expensive commercial software trailing in their digital wake. Singapore | Vincent is a dynamic and versatile marketing strategist primarily focused on digital marketing. He also has a keen passion for gaming and collecting designer toys.